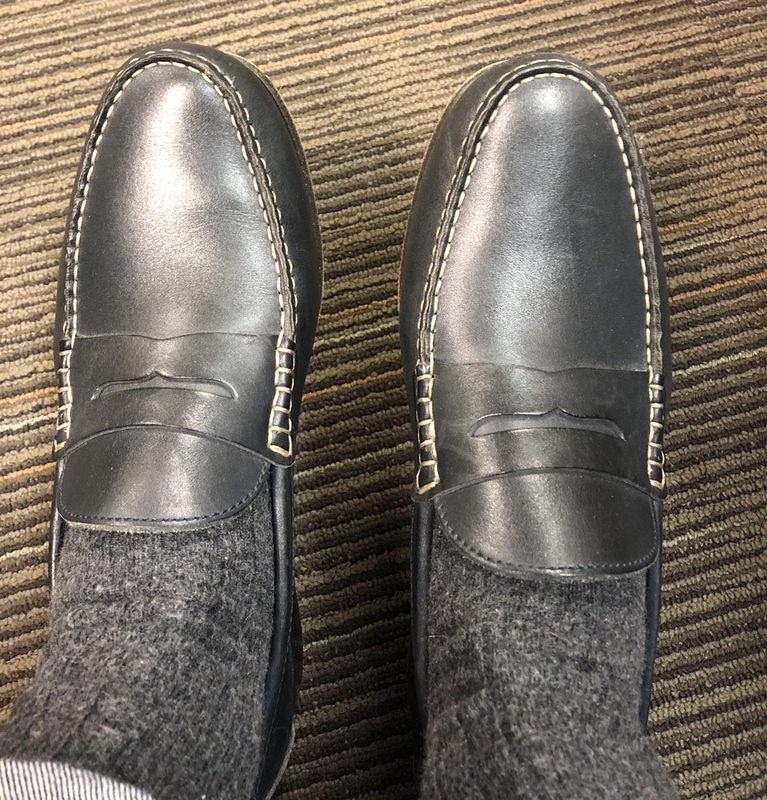 One of my favorite topics on menswear forums is “what shoes are you wearing today”. I love getting ideas from others about different shoe and sock combinations. 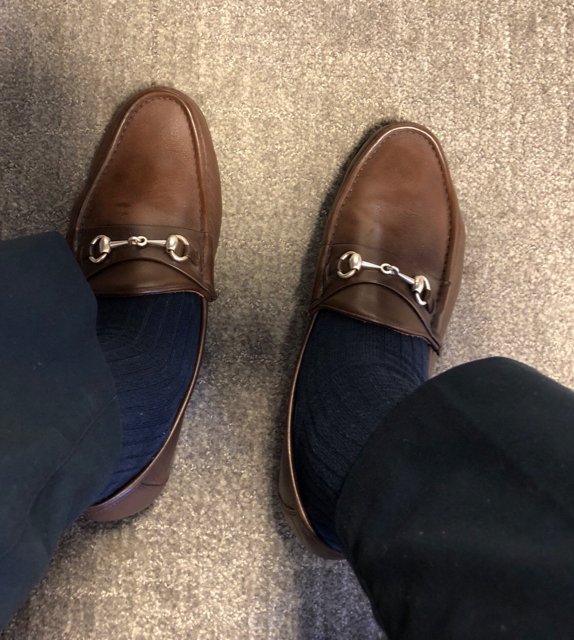 It is one thing to see shoes on a website, but seeing them in the wild with outfit combos makes purchasing decisions much easier, for me anyway. So, I figured I’d start a thread and see what’s what. This was a pair of Mezlan single monk straps I bought a few years back. The color was “Crema”, a light tan that I didnt much like. I darkened them with some brown cream and conditioned them. I like the color much better than previously. 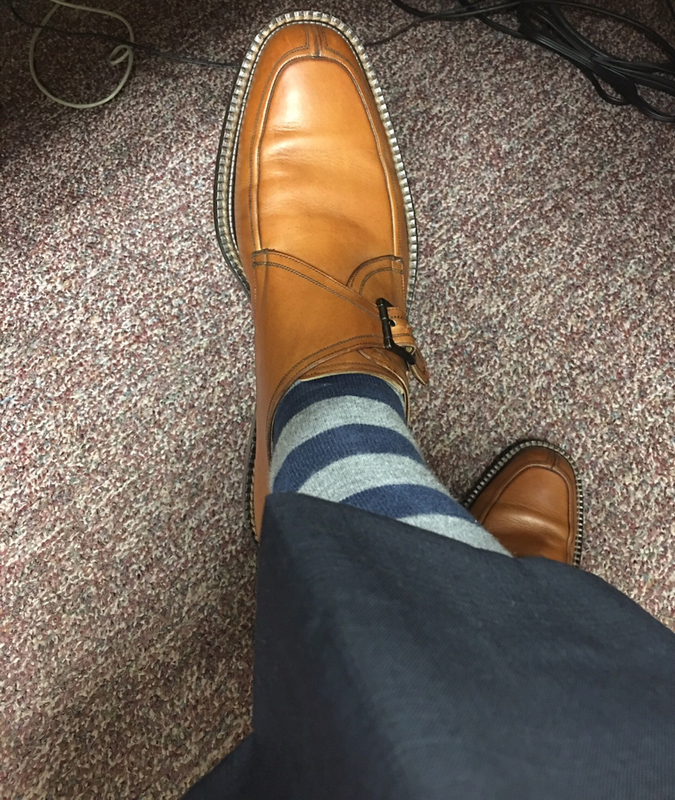 Socks are from tiebar. I will let you know as soon as I put some on. I like the thread idea though. I like this thread! I should start posting tomorrow. One of the last things I think about as I fall asleep at night is which shoes I'm going to wear the next day. Allen Edmonds Stuttgart derby shoes in walnut. @mebejoseph lol I figured you’d like it Joseph, you have a great collection. 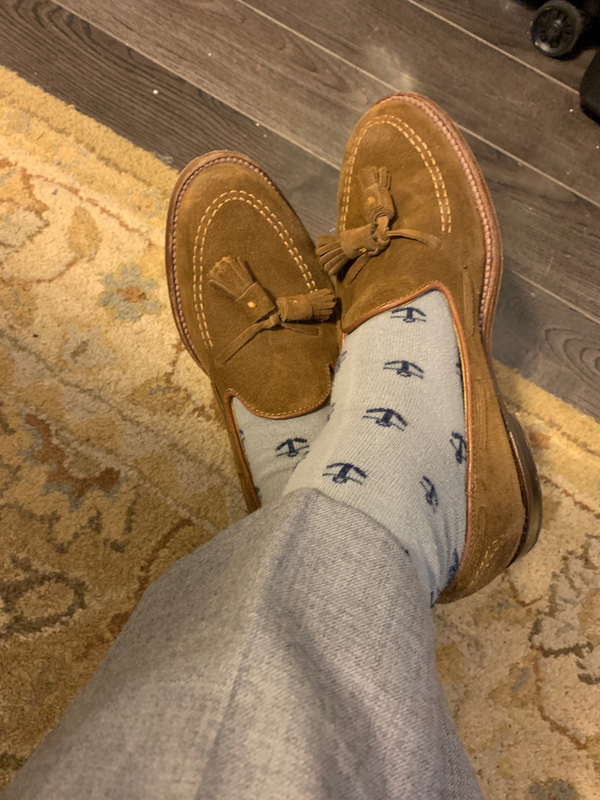 Navy Carmina penny loafers and some wool socks. If you didnt post some kind of loafer for your first pic I was going to be disappointed. Haha I was thinking the same thing. Staying on theme, my workhorses — definitely my go to shoes of last year, and ones that’ll continue to be worn a lot in 2019 (alongside black ones I recently purchased). I never thought I’d be a loafer guy, but here we are. I aim to please! I will try to post all of my loafers in the upcoming weeks. I forgot to post the shell cordovan AE’s yesterday.